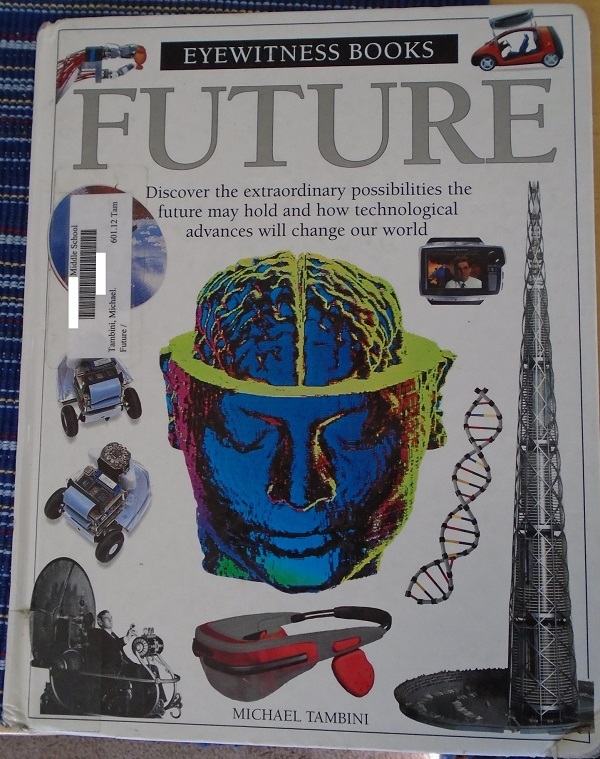 Submitter: I live in [Canada] and was just recently hired at a high school in order to get their library up and running once again. The collection has not been touched for many years and most of the books were donations from when the school started in 2000. 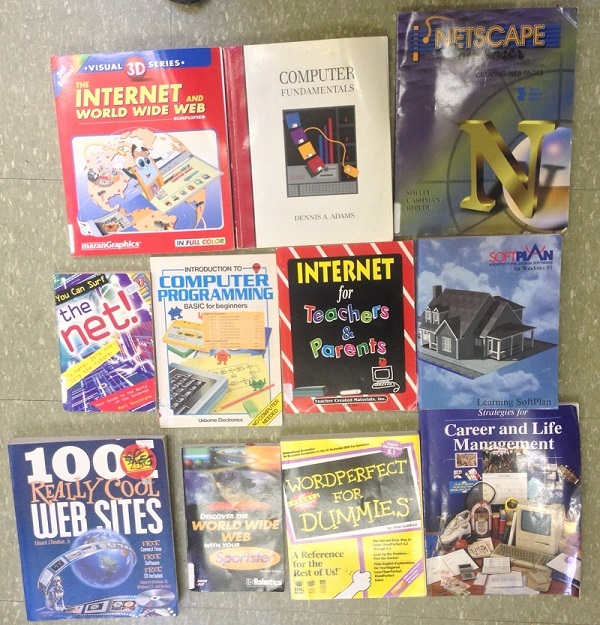 As I was weeding through the collection I came across many books on how to use the internet-most of which are from the early 90s. I laughed as I realized that Netscape does not even exist anymore and how the book on the middle-right is about a program for Windows 95. It’s okay to have some books on computers for a library but there’s no way these books would be helping anybody! These are definitely being weeded! Holly: Unless you’re running an archive, which most high schools are not, these are useless to your library. You just cleared half a shelf of space in one fell swoop! 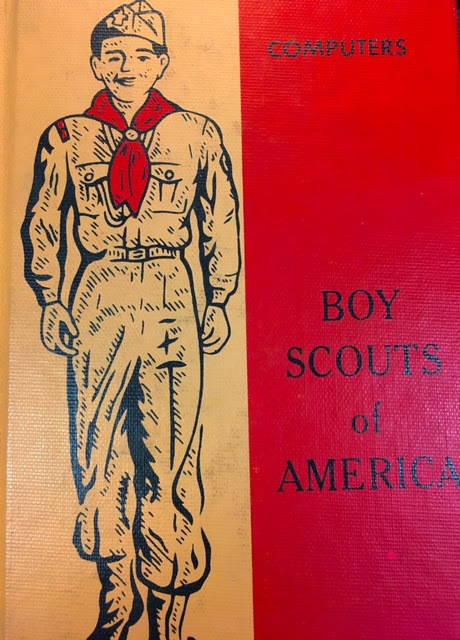 Boy Scouts Get a Computer Badge! I’d say a few of those books could still potentially be useful. Particularly the “Introduction to Computer Programming” book; the regular BASIC language no longer sees much production use, but it’s still a good first language, and variants of it (e.g., Visual Basic from Microsoft) *do* see use in business and other production situations. As someone who hasn’t studied programming in forty years, but may again someday, I think probably online tutorials might be more efficient. But maybe not. Books are easier to go back and check or re-read things, and you can scribble notes in them. Right! So get it out of the collection and into the hands of some kid who is into programming. My brother had that book, or one similar. I think it would probably be better as a starter for kids than online tutorials because it’s aimed specifically at kids, and has loads of cartoons to illustrate things. I liked basic. Line numbers, ‘if…then’ – all nice and logical to me. Actually, the versions of IE that were contemporary with Netscape were twitching horrors from the depths of Shoggoth that the Internet still hasn’t entirely recovered from. Microsoft’s inability to follow standards meant that every webpage had to be written twice: once for everyone else, and once to get around IE’s brokenness. If you ever want to give someone who worked in Web development prior to 2005 or so the screaming horrors, just whisper “Internet Explorer” in his or her ear, and duck to avoid the thrown objects resulting from your comment. Depends on the version/platform I’d say. Some of the older IEs are total dogs. Every time I think I’ve removed all of the super out-of-date books from that section of the library, somehow a book on Windows 98 and the like always seems to turn up. It’s the bane of my existence. 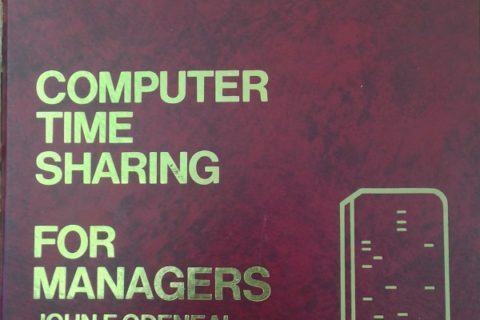 I weed old computer books out of my library and put them in yours. Actually, no, I am not a librarian at all, and I don’t do what I just said. I just wanted to make the joke. Some of the computers on my campus right now are still on Windows XP (our computer people are trying to rectify that, and XP is no longer being supported by Windows for updates and etc. ), so we went through our computer books last fall, we ended up keeping more than I really wanted to, at least partly because of that fact, and, we are a rural academic library, and this area is behind the curve in more ways than one (I hear dueling banjos in the background. At least we aren’t in Arkansas ;), but we are close enough). So it is very likely a patron in this area may still have a Windows XP computer. I remember that Discover the World Wide Web with your Sportster Modem booklet. 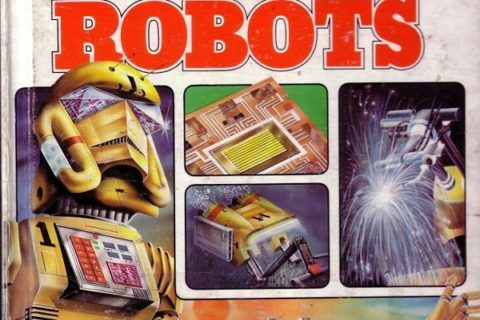 US Robotics used to include that with their dial-up modems in the mid-90s; my family got one with our 33.6 kbps external modem. I’m not sure if it got thrown away when I cleaned my computer desk, or if it’s still hiding at my dad’s house somewhere.